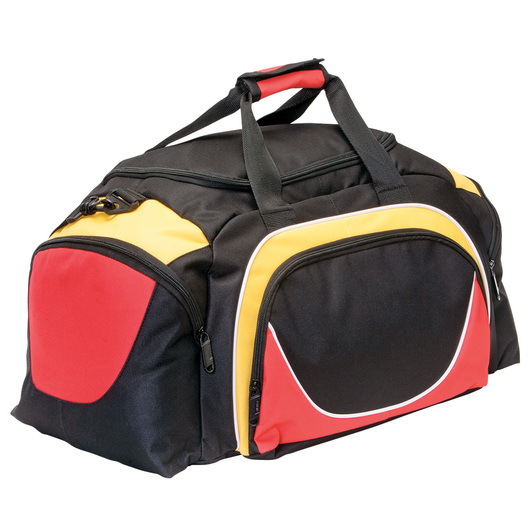 Grab your gears and promote your brands in style! 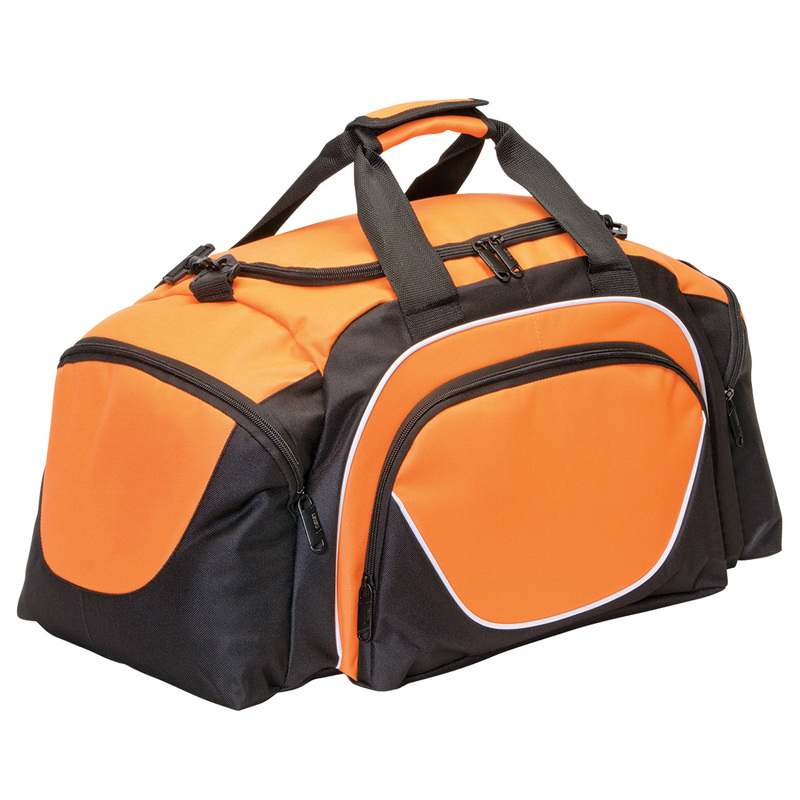 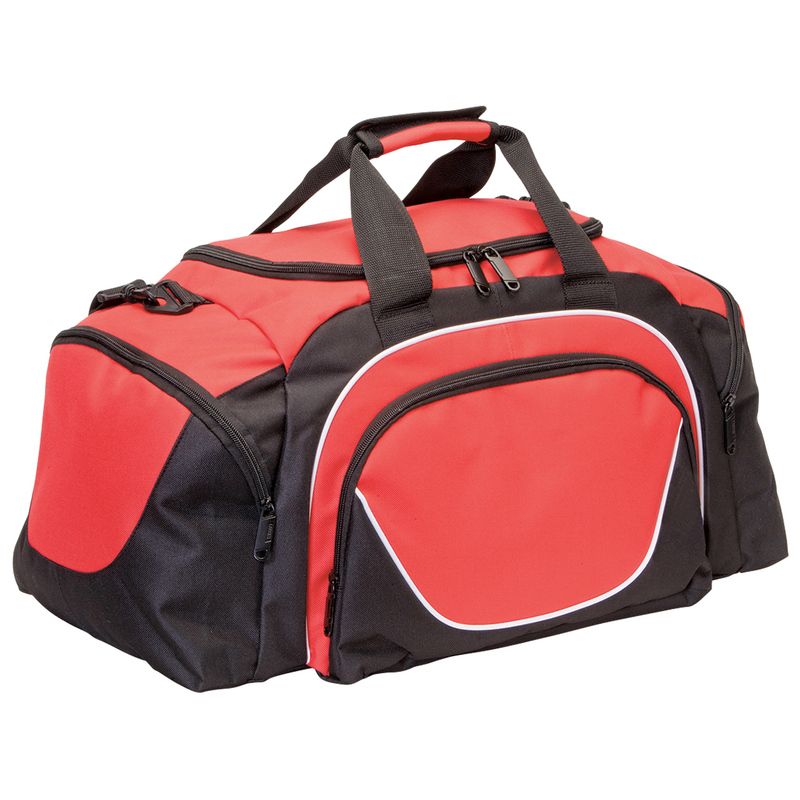 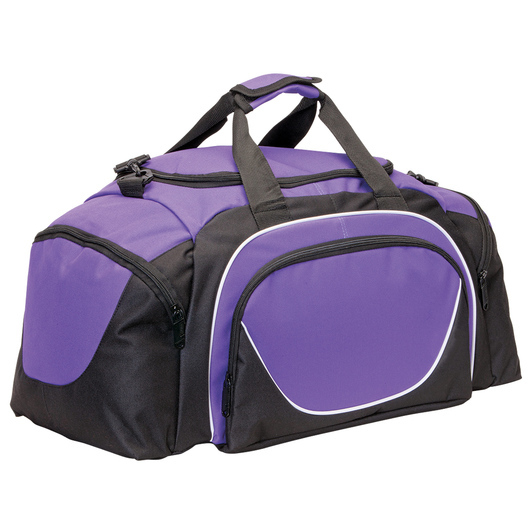 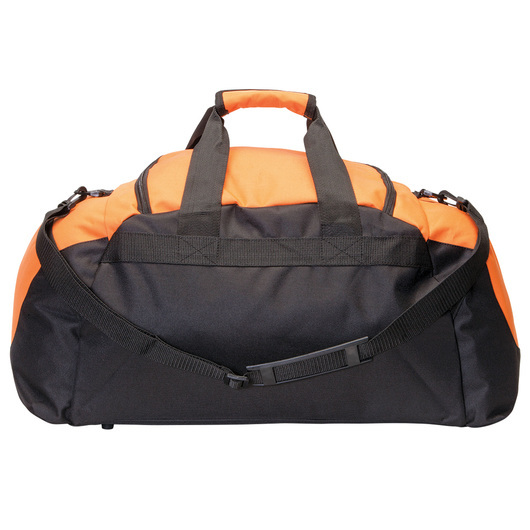 Perfect for travel use, this sports bag will get the job done when you demand it. Features a U-shaped opening to main compartment, front zippered pocket, zippered end compartments, webbing handles with velcro cuff, removable adjustable webbing shoulder strap, studded base for durability, a baseboard, and solid metal zippers to each compartment. 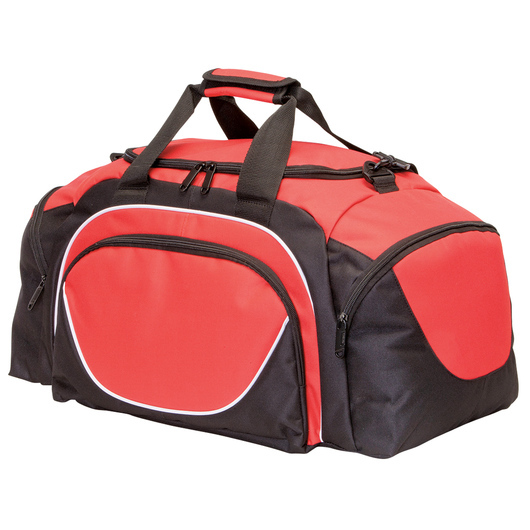 It was manufactured from durable 600D polyester fabric and has 46 litres carrying capacity. 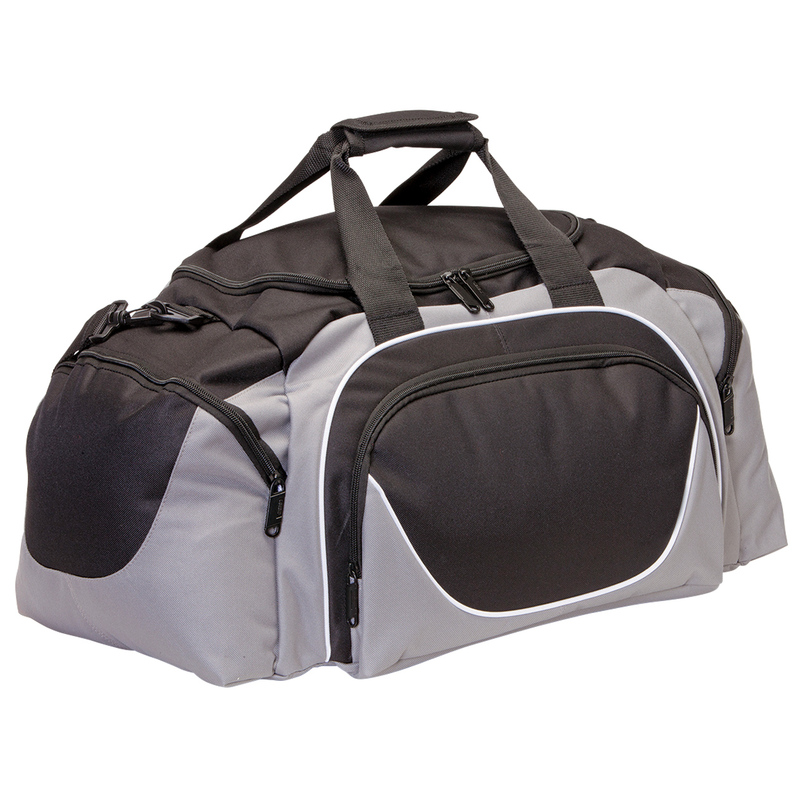 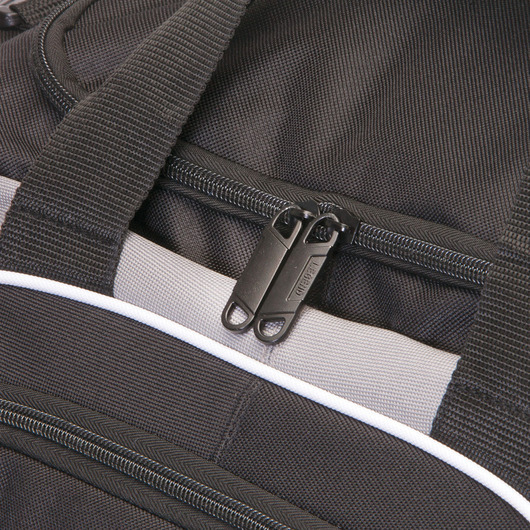 Use as a sports bag, travel bag, & much more. Perfect for students, travellers, and athletes.